오늘의 영문법 하루에 10분! 하루에 한 문장! 매일 커지는 영어 자신감! 영어공부를 하면서 만나는 모든 문장의 유형을 공부하며, 영어 문법을 정복해 보세요. EBS 중학 오늘의 영문법을 이메일로 공부해 보세요. 매일 매일 업데이트 되는 강의를 이메일로 보내드립니다. 이메일 변경을 원하시는 경우 회원정보 수정 후 이메일을 신청을 해주시기 바랍니다. 180강 If he is a liar, they will be surprised. 품사의 기초(1/21) 01강 Someone likes you. 품사의 기초(2/21) 02강 I reach the airport. 품사의 기초(3/21) 03강 I arrive at the airport. 품사의 기초(4/21) 04강 She loves him. 품사의 기초(5/21) 05강 I was hungry. 품사의 기초(6/21) 06강 They weren't English teachers. 품사의 기초(7/21) 07강 Do you become an English teacher? 품사의 기초(8/21) 08강 I have four classes. 품사의 기초(9/21) 09강 Many children like chocolate. 품사의 기초(10/21) 10강 This is my picture. 품사의 기초(11/21) 11강 I want a cup of coffee. 품사의 기초(12/21) 12강 I drink much water. 품사의 기초(13/21) 13강 Look at the moon in the sky. 품사의 기초(14/21) 14강 The train will arrive tonight. 품사의 기초(15/21) 15강 It is warm today. 품사의 기초(16/21) 16강 I myself made this cake. 품사의 기초(17/21) 17강 I like slow music. 품사의 기초(18/21) 18강 He drives carefully. 품사의 기초(19/21) 19강 He is always late. 품사의 기초(20/21) 20강 There is water on the floor. 문장의 형식(1/17) 21강 I live in this house. 문장의 형식(2/17) 22강 I am happy. 문장의 형식(3/17) 23강 You look beautiful today. 문장의 형식(4/17) 24강 I like Ppoppi. 문장의 형식(5/17) 25강 He gave me this rose. 문장의 형식(6/17) 26강 Mom made me a cake. 문장의 형식(7/17) 27강 He asked me my phone number. 문장의 형식(8/17) 28강 I want you to do your best. 문장의 형식(9/17) 29강 Mom made me my homework first. 문장의 형식(10/17) 30강 Mom had me set the table. 문장의 형식(11/17) 31강 Dad helps mom do the housework. 문장의 형식(12/17) 32강 I saw Jenny reading books. 문장의 형식(13/17) 33강 I felt the ground shake. 문장의 형식(14/17) 34강 How diligent you are! 문장의 형식(15/17) 35강 Leave me alone. 문장의 형식(16/17) 36강 Let's play badminton. 문장의 형식(17/17) 37강 You are hungry, aren't you? 조동사(1/14) 38강 Can I use your smartphone? 조동사(2/14) 39강 Could I ask your phone number? 조동사(3/14) 40강 We must follow the traffic rules. 조동사(4/14) 41강 You may go now. 조동사(5/14) 42강 Jane will help you. 조동사(6/14) 43강 Would you open the window? 조동사(7/14) 44강 Shall we dance? 조동사(8/14) 45강 You should help poor people. 조동사(9/14) 46강 My mother used to be a teacher. 조동사(10/14) 47강 I do like you. 조동사(11/14) 48강 She may have studied hard. 조동사(12/14) 49강 Mom must have cleaned my room. 조동사(13/14) 50강 I should have prepared the gift. 조동사(14/14) 51강 You had better hurry up. 동명사(1/13) 52강 Eating breakfast is a good habit. 동명사(2/13) 53강 I am afraid of an injection. 동명사(3/13) 54강 I enjoy surfing the internet. 동명사(4/13) 55강 I am afraid of having got an injection. 동명사(5/13) 56강 I hate being treated like a baby. 동명사(6/13) 57강 I don't like my son drinking too much soda. 동명사(7/13) 58강 There is no accounting for tastes. 동명사(8/13) 59강 I feel like making friends with him. 동명사(9/13) 60강 I will go shopping. 동명사(10/13) 61강 It goes without saying. 동명사(11/13) 62강 I am on the point of finishing it. 동명사(12/13) 63강 Get used to swimming in the sea. 동명사(13/13) 64강 My dream is to be a star. to 부정사(1/13) 65강 It is not easy for her to be a star. to 부정사(2/13) 66강 I can't choose what to do in my life. to 부정사(3/13) 67강 I need something to eat. to 부정사(4/13) 68강 I need a pen to write with. to 부정사(5/13) 69강 They were to fall in love with each other. 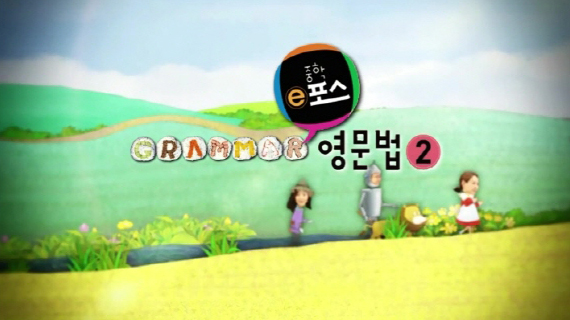 to 부정사(6/13) 70강 She goes to America to learn English. to 부정사(7/13) 71강 We are sorry to hear the news. to 부정사(8/13) 72강 He cannot be honest to tell a lie. to 부정사(9/13) 73강 I would be glad to be with you. to 부정사(10/13) 74강 English is not difficult to learn. to 부정사(11/13) 75강 It is nice of you to say so. to 부정사(12/13) 76강 She seems to have been ill. to 부정사(13/13) 77강 To make many friends is my dream. to 부정사와 동명사(1/11) 78강 I want to make many friends. to 부정사와 동명사(2/11) 79강 I avoid going abroad. to 부정사와 동명사(3/11) 80강 I love to go abroad. to 부정사와 동명사(4/11) 81강 Don't forget to finish your homework. to 부정사와 동명사(5/11) 82강 She tries wearing the contact lens. to 부정사와 동명사(6/11) 83강 The box is too small to hold all these things. to 부정사와 동명사(7/11) 84강 The boy is old enough to go to school. to 부정사와 동명사(8/11) 85강 It makes me smile. to 부정사와 동명사(9/11) 86강 I need something to write about. to 부정사와 동명사(10/11) 87강 Don't go if you don't want to. to 부정사와 동명사(11/11) 88강 To be frank with you, I got up late. 수량 형용사(1/9) 89강 If you need a pencil, I will lend you one. 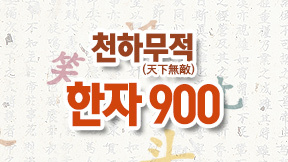 수량 형용사(2/9) 90강 Do you have any plans for your vacation? 수량 형용사(3/9) 91강 Every boy and girl has the right to study. 수량 형용사(4/9) 92강 I have two dogs. 수량 형용사(5/9) 93강 I have three sons. 수량 형용사(6/9) 94강 There are many chocolates. 수량 형용사(7/9) 95강 Some like pizza and others don't like pizza. 수량 형용사(8/9) 96강 Neither of the boys likes the books. 수량 형용사(9/9) 97강 Few students take umbrellas with them. 비교급(1/15) 98강 I have a little money. 비교급(2/15) 99강 I love myself. 비교급(3/15) 100강 He lives in that house by himself. 비교급(4/15) 101강 She is as handsome as him. 비교급(5/15) 102강 She is smarter than her sister. 비교급(6/15) 103강 Her sister is less smart than her. 비교급(7/15) 104강 The younger you are, the easier it is to learn English. 비교급(8/15) 105강 The more money people have, the more people want. 비교급(9/15) 106강 I am not taller than her. 비교급(10/15) 107강 No one in my class is as handsome as her. 비교급(11/15) 108강 She is more cute than beautiful. 비교급(12/15) 109강 He is as great a scientist as ever lived. 비교급(13/15) 110강 The bag is twice as expensive as that one. 비교급(14/15) 111강 I hope that this becomes one of the most popular programs in Korea. 비교급(15/15) 112강 Jay is as poor as a church mouse. 분사(1/20) 113강 Look at the sleeping baby. 분사(2/20) 114강 Look at the baby sleeping in the room. 분사(3/20) 115강 I am looking at the fallen leaves. 분사(4/20) 116강 I am looking at the leaves fallen on the ground. 분사(5/20) 117강 Are you satisfied with your appearance? 분사(6/20) 118강 I was touched by the movie. 분사(7/20) 119강 Watching soccer is exciting. 분사(8/20) 120강 I heard someone calling my name. 분사(9/20) 121강 Mom had me do my homework first. 분사(10/20) 122강 Seeing her, I fell in love. 분사(11/20) 123강 Feeling tired, I went to bed early. 분사(12/20) 124강 Studying hard, you will master English. 분사(13/20) 125강 Though studying hard, he couldn't pass the exam. 분사(14/20) 126강 She is listening to music, drinking coffee. 분사(15/20) 127강 Not knowing what do to, I called Mom. 분사(16/20) 128강 Having had breakfast, I am not hungry now. 분사(17/20) 129강 Written in English, this book is not difficult. 분사(18/20) 130강 He leaving the airport, she cried a lot. 분사(19/20) 131강 Judging from your appearance, you must be a teacher. 분사(20/20) 132강 Mom was waiting for me with her arms folded. 전치사(1/15) 133강 The store opens at ten and closes at noon. 전치사(2/15) 134강 She was happy during her life time. 전치사(3/15) 135강 You must stay here till tomorrow. 전치사(4/15) 136강 There are many planes over the lake. 전치사(5/15) 137강 I have waited for you since 9 o'clock. 전치사(6/15) 138강 I will pay back the money within a week. 전치사(7/15) 139강 He is out of a job. 전치사(8/15) 140강 Paper is made from wood. 전치사(9/15) 141강 He stole money from Kevin. 전치사(10/15) 142강 Please provide me with your e-mail address. 전치사(11/15) 143강 Don't go across the road alone. 전치사(12/15) 144강 I agree with you. 전치사(13/15) 145강 It has rained since Monday. 전치사(14/15) 146강 See you next Friday. 전치사(15/15) 147강 I want to enter into business. 시제(1/25) 148강 The earth moves around the sun. 시제(2/25) 149강 The Korean War broke out in 1950. 시제(3/25) 150강 I will be a world-famous writer. 시제(4/25) 151강 I am getting my hair cut. 시제(5/25) 152강 I am not looking at you. 시제(6/25) 153강 I have eaten Mexican food before. 시제(7/25) 154강 Have you ever ridden a horse? 시제(8/25) 155강 I have studied English since 2006. 시제(9/25) 156강 I have just finished my homework. 시제(10/25) 157강 I have lost my wallet. 시제(11/25) 158강 I haven't eaten anything since last night. 시제(12/25) 159강 They have been talking on the phone for two hours. 시제(13/25) 160강 When I arrived at the bus stop, the bus had already left. 시제(14/25) 161강 I had never been abroad until then. 시제(15/25) 162강 I had studied italian for a month before I went to italy. 시제(16/25) 163강 I had just finished the homework when my parents came back. 시제(17/25) 164강 I had broken my finger, so I couldn't practice basketball. 시제(18/25) 165강 We had been waiting for Dad for three hours before he came. 시제(19/25) 166강 When it is fine tomorrow, I will go on a picnic. 시제(20/25) 167강 If you touch my things again, you will be in big trouble. 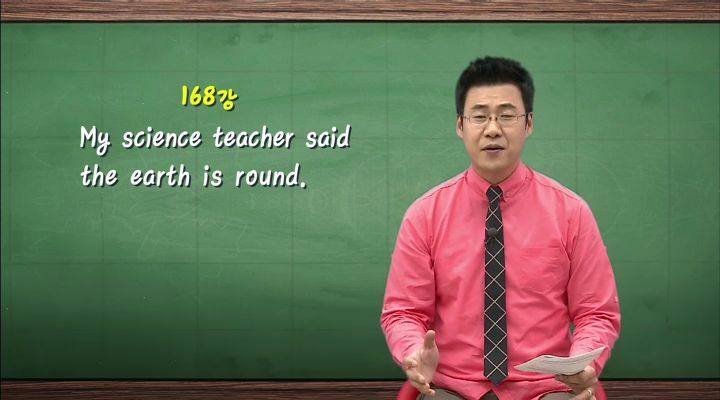 시제(21/25) 168강 My science teacher said the earth is round. 시제(22/25) 169강 I learned that the Korean War broke out in 1950. 시제(23/25) 170강 I thought you had finished your homework. 시제(24/25) 171강 You seem to have been very busy. 시제(25/25) 172강 I am sure of your having been honest. 접속사(1/10) 173강 I like an apple and a banana. 접속사(2/10) 174강 To be or not to be : that is the question. 접속사(3/10) 175강 I am tired, yet i can't sleep. 접속사(4/10) 176강 He can neither sleep nor eat. 접속사(5/10) 177강 Neither mom nor I am at home. 접속사(6/10) 178강 The rumor is that he is a liar. 접속사(7/10) 179강 I asked him whether he is a liar or not. 접속사(8/10) 180강 If he is a liar, they will be surprised. 접속사(9/10) 181강 As Napoleon once said, attack is the best method of defence. 접속사(10/10) 182강 Until he comes back, his mom will wait for him. 수동태(1/15) 183강 Though you don't like it, you must do it. 수동태(2/15) 184강 The window was broken by me. 수동태(3/15) 185강 My room is cleaned every day by Mom. 수동태(4/15) 186강 These letters were written by her. 수동태(5/15) 187강 I was laughed at by them. 수동태(6/15) 188강 I was given a card by her. 수동태(7/15) 189강 She is called princess by us. 수동태(8/15) 190강 You were seen to wait for the bus. 수동태(9/15) 191강 I was made to clean my room by Mom. 수동태(10/15) 192강 It is said that he is honest. 수동태(11/15) 193강 He isn't loved by her. 수동태(12/15) 194강 Is English spoken in Singapore? 수동태(13/15) 195강 Your personal information is being used by someone. 수동태(14/15) 196강 This cell phone has been used since last year. 수동태(15/15) 197강 My mom is worried about my grades. 관계 대명사(1/25) 198강 Do you know the girl who wears a white dress? 관계 대명사(2/25) 199강 Do you see the girl whose eyes are green? 관계 대명사(3/25) 200강 There is a house of which the roof is blue. 관계 대명사(4/25) 201강 There is a serious problen I meet. 관계 대명사(5/25) 202강 There are a man and his dog that I like. 관계 대명사(6/25) 203강 I have read the novel the girl wrote. 관계 대명사(7/25) 204강 Do you know what I am saying? 관계 대명사(8/25) 205강 I am not what I was. 관계 대명사(9/25) 206강 He said he was very sick, which was not true. 관계 대명사(10/25) 207강 This is the same pen as I lost. 관계 대명사(11/25) 208강 This is the studio in which I work. 관계 대명사(12/25) 209강 This is the place where I was born. 관계 대명사(13/25) 210강 I remember the day when I met you. 관계 대명사(14/25) 211강 Tell me the reason why you are late. 관계 대명사(15/25) 212강 Tell me how you can make it. 관계 대명사(16/25) 213강 She lived in New York, where she got married. 관계 대명사(17/25) 214강 Tell me the reason that you are late. 관계 대명사(18/25) 215강 This is the city which I like best. 관계 대명사(19/25) 216강 Whoever comes here will be welcomed. 관계 대명사(20/25) 217강 Whomever you may select, I will agree with you. 관계 대명사(21/25) 218강 Whatever someone says, you must believe in yourself. 관계 대명사(22/25) 219강 I will give whichever seat you want. 관계 대명사(23/25) 220강 Whenever you come, I will wait for you. 관계 대명사(24/25) 221강 Wherever she goes, she will be welcomed. 관계 대명사(25/25) 222강 However difficult it is, you can do it. 가정법(1/20) 223강 If I were you, I wouldn't do that. 가정법(2/20) 224강 If you were in my shoes, what would you do? 가정법(3/20) 225강 If I had been you, I wouldn't have done that. 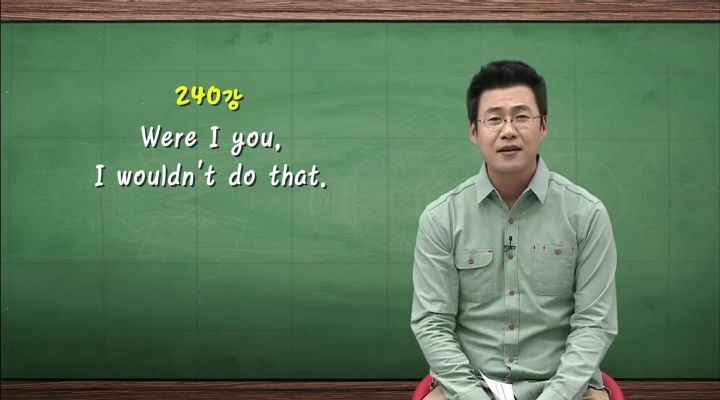 가정법(4/20) 226강 If you had practiced more, you could have passed the test. 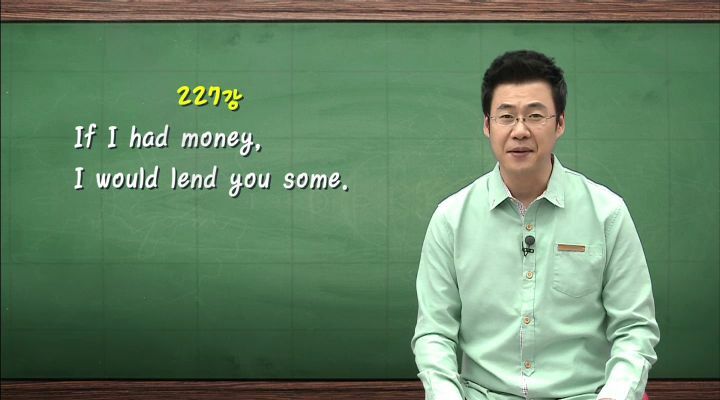 가정법(5/20) 227강 If I had money, I would lend you some. 가정법(6/20) 228강 If I had taken your advice then, I would be happier now. 가정법(7/20) 229강 If I had more time, I could travel more often. 가정법(8/20) 230강 If you had handed in your homework in time, you could have gotten a perfect score. 가정법(9/20) 231강 If you had made a reservation last week, we wouldn't be waiting this long now. 가정법(10/20) 232강 I wish I were as tall as you. 가정법(11/20) 233강 I wish I had done my homework last night. 가정법(12/20) 234강 I am sorry I am not as tall as you. 가정법(13/20) 235강 I am sorry I didn't do my homework last night. 가정법(14/20) 236강 He talks as if he knew everything. 가정법(15/20) 237강 She acts as if nothing had happened. 가정법(16/20) 238강 In fact, he doesn't know everything. 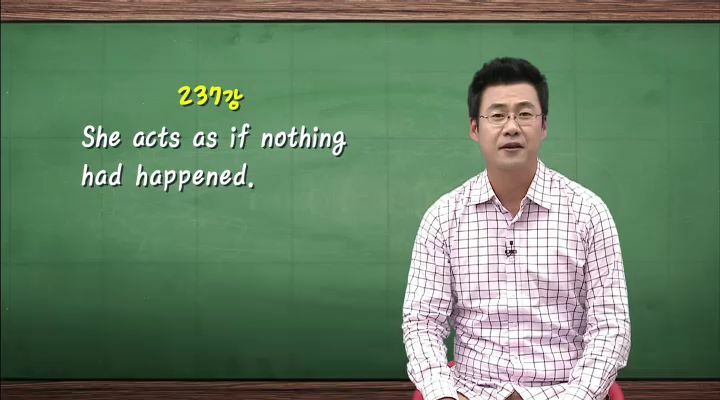 가정법(17/20) 239강 In fact, something happened. 가정법(18/20) 240강 Were I you, I wouldn't do that. 가정법(19/20) 241강 Without your help, I couldn't finish my report. 가정법(20/20) 242강 Had it not been for my help, you couldn't have won the race. 절대 공식(1/18) 243강 The code name that James Bond has is 007. 절대 공식(2/18) 244강 The sun rises above the horizon. 절대 공식(3/18) 245강 I have my tooth pulled by the dentist. 절대 공식(4/18) 246강 Asked many questions, he said no answers. 절대 공식(5/18) 247강 Cactuses need little water. 절대 공식(6/18) 248강 I stole her watch and gave it to her again. 절대 공식(7/18) 249강 I studied for 2 hours last night. 절대 공식(8/18) 250강 It must have rained last night. 절대 공식(9/18) 251강 If I had wings, I would fly to you. 절대 공식(10/18) 252강 Going camping with my friends is really fun. 절대 공식(11/18) 253강 I found it interesting to work with others. 절대 공식(12/18) 254강 I don't know if he will finish the project tomorrow. 절대 공식(13/18) 255강 I'm looking forward to going to Italy and eating wonderful pasta. 절대 공식(14/18) 256강 She said she knew the man, which was a lie. 절대 공식(15/18) 257강 December is the month which comes after November. 절대 공식(16/18) 258강 Man is the only creature that consumes without producing. 절대 공식(17/18) 259강 Many large cities have very tall buildings called skyscrapers. 절대 공식(18/18) 260강 They saw all their male members rush to become soldiers. 분류를 선택해 주세요 품사의 기초 문장의 형식 조동사 동명사 to 부정사 to 부정사와 동명사 수량 형용사 비교급 분사 전치사 시제 접속사 수동태 관계 대명사 가정법 절대 공식 강의를 선택해 주세요 01강 Someone likes you. 02강 I reach the airport. 03강 I arrive at the airport. 04강 She loves him. 05강 I was hungry. 06강 They weren't English teachers. 07강 Do you become an English teacher? 08강 I have four classes. 09강 Many children like chocolate. 10강 This is my picture. 11강 I want a cup of coffee. 12강 I drink much water. 13강 Look at the moon in the sky. 14강 The train will arrive tonight. 15강 It is warm today. 16강 I myself made this cake. 17강 I like slow music. 18강 He drives carefully. 19강 He is always late. 20강 There is water on the floor. 21강 I live in this house. 22강 I am happy. 23강 You look beautiful today. 24강 I like Ppoppi. 25강 He gave me this rose. 26강 Mom made me a cake. 27강 He asked me my phone number. 28강 I want you to do your best. 29강 Mom made me my homework first. 30강 Mom had me set the table. 31강 Dad helps mom do the housework. 32강 I saw Jenny reading books. 33강 I felt the ground shake. 34강 How diligent you are! 35강 Leave me alone. 36강 Let's play badminton. 37강 You are hungry, aren't you? 38강 Can I use your smartphone? 39강 Could I ask your phone number? 40강 We must follow the traffic rules. 41강 You may go now. 42강 Jane will help you. 43강 Would you open the window? 44강 Shall we dance? 45강 You should help poor people. 46강 My mother used to be a teacher. 47강 I do like you. 48강 She may have studied hard. 49강 Mom must have cleaned my room. 50강 I should have prepared the gift. 51강 You had better hurry up. 52강 Eating breakfast is a good habit. 53강 I am afraid of an injection. 54강 I enjoy surfing the internet. 55강 I am afraid of having got an injection. 56강 I hate being treated like a baby. 57강 I don't like my son drinking too much soda. 58강 There is no accounting for tastes. 59강 I feel like making friends with him. 60강 I will go shopping. 61강 It goes without saying. 62강 I am on the point of finishing it. 63강 Get used to swimming in the sea. 64강 My dream is to be a star. 65강 It is not easy for her to be a star. 66강 I can't choose what to do in my life. 67강 I need something to eat. 68강 I need a pen to write with. 69강 They were to fall in love with each other. 70강 She goes to America to learn English. 71강 We are sorry to hear the news. 72강 He cannot be honest to tell a lie. 73강 I would be glad to be with you. 74강 English is not difficult to learn. 75강 It is nice of you to say so. 76강 She seems to have been ill. 77강 To make many friends is my dream. 78강 I want to make many friends. 79강 I avoid going abroad. 80강 I love to go abroad. 81강 Don't forget to finish your homework. 82강 She tries wearing the contact lens. 83강 The box is too small to hold all these things. 84강 The boy is old enough to go to school. 85강 It makes me smile. 86강 I need something to write about. 87강 Don't go if you don't want to. 88강 To be frank with you, I got up late. 89강 If you need a pencil, I will lend you one. 90강 Do you have any plans for your vacation? 91강 Every boy and girl has the right to study. 92강 I have two dogs. 93강 I have three sons. 94강 There are many chocolates. 95강 Some like pizza and others don't like pizza. 96강 Neither of the boys likes the books. 97강 Few students take umbrellas with them. 98강 I have a little money. 99강 I love myself. 100강 He lives in that house by himself. 101강 She is as handsome as him. 102강 She is smarter than her sister. 103강 Her sister is less smart than her. 104강 The younger you are, the easier it is to learn English. 105강 The more money people have, the more people want. 106강 I am not taller than her. 107강 No one in my class is as handsome as her. 108강 She is more cute than beautiful. 109강 He is as great a scientist as ever lived. 110강 The bag is twice as expensive as that one. 111강 I hope that this becomes one of the most popular programs in Korea. 112강 Jay is as poor as a church mouse. 113강 Look at the sleeping baby. 114강 Look at the baby sleeping in the room. 115강 I am looking at the fallen leaves. 116강 I am looking at the leaves fallen on the ground. 117강 Are you satisfied with your appearance? 118강 I was touched by the movie. 119강 Watching soccer is exciting. 120강 I heard someone calling my name. 121강 Mom had me do my homework first. 122강 Seeing her, I fell in love. 123강 Feeling tired, I went to bed early. 124강 Studying hard, you will master English. 125강 Though studying hard, he couldn't pass the exam. 126강 She is listening to music, drinking coffee. 127강 Not knowing what do to, I called Mom. 128강 Having had breakfast, I am not hungry now. 129강 Written in English, this book is not difficult. 130강 He leaving the airport, she cried a lot. 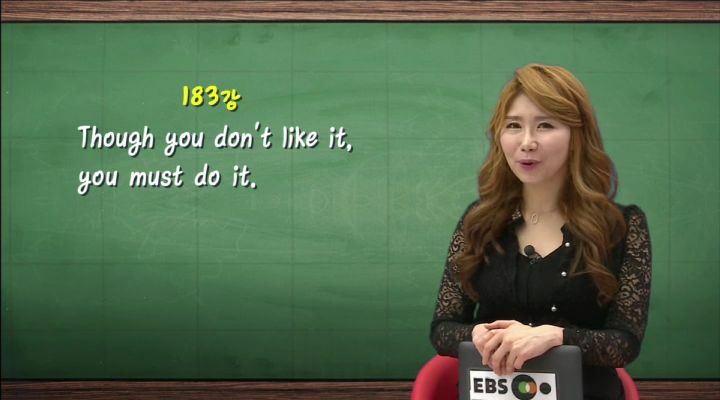 131강 Judging from your appearance, you must be a teacher. 132강 Mom was waiting for me with her arms folded. 133강 The store opens at ten and closes at noon. 134강 She was happy during her life time. 135강 You must stay here till tomorrow. 136강 There are many planes over the lake. 137강 I have waited for you since 9 o'clock. 138강 I will pay back the money within a week. 139강 He is out of a job. 140강 Paper is made from wood. 141강 He stole money from Kevin. 142강 Please provide me with your e-mail address. 143강 Don't go across the road alone. 144강 I agree with you. 145강 It has rained since Monday. 146강 See you next Friday. 147강 I want to enter into business. 148강 The earth moves around the sun. 149강 The Korean War broke out in 1950. 150강 I will be a world-famous writer. 151강 I am getting my hair cut. 152강 I am not looking at you. 153강 I have eaten Mexican food before. 154강 Have you ever ridden a horse? 155강 I have studied English since 2006. 156강 I have just finished my homework. 157강 I have lost my wallet. 158강 I haven't eaten anything since last night. 159강 They have been talking on the phone for two hours. 160강 When I arrived at the bus stop, the bus had already left. 161강 I had never been abroad until then. 162강 I had studied italian for a month before I went to italy. 163강 I had just finished the homework when my parents came back. 164강 I had broken my finger, so I couldn't practice basketball. 165강 We had been waiting for Dad for three hours before he came. 166강 When it is fine tomorrow, I will go on a picnic. 167강 If you touch my things again, you will be in big trouble. 168강 My science teacher said the earth is round. 169강 I learned that the Korean War broke out in 1950. 170강 I thought you had finished your homework. 171강 You seem to have been very busy. 172강 I am sure of your having been honest. 173강 I like an apple and a banana. 174강 To be or not to be : that is the question. 175강 I am tired, yet i can't sleep. 176강 He can neither sleep nor eat. 177강 Neither mom nor I am at home. 178강 The rumor is that he is a liar. 179강 I asked him whether he is a liar or not. 180강 If he is a liar, they will be surprised. 181강 As Napoleon once said, attack is the best method of defence. 182강 Until he comes back, his mom will wait for him. 183강 Though you don't like it, you must do it. 184강 The window was broken by me. 185강 My room is cleaned every day by Mom. 186강 These letters were written by her. 187강 I was laughed at by them. 188강 I was given a card by her. 189강 She is called princess by us. 190강 You were seen to wait for the bus. 191강 I was made to clean my room by Mom. 192강 It is said that he is honest. 193강 He isn't loved by her. 194강 Is English spoken in Singapore? 195강 Your personal information is being used by someone. 196강 This cell phone has been used since last year. 197강 My mom is worried about my grades. 198강 Do you know the girl who wears a white dress? 199강 Do you see the girl whose eyes are green? 200강 There is a house of which the roof is blue. 201강 There is a serious problen I meet. 202강 There are a man and his dog that I like. 203강 I have read the novel the girl wrote. 204강 Do you know what I am saying? 205강 I am not what I was. 206강 He said he was very sick, which was not true. 207강 This is the same pen as I lost. 208강 This is the studio in which I work. 209강 This is the place where I was born. 210강 I remember the day when I met you. 211강 Tell me the reason why you are late. 212강 Tell me how you can make it. 213강 She lived in New York, where she got married. 214강 Tell me the reason that you are late. 215강 This is the city which I like best. 216강 Whoever comes here will be welcomed. 217강 Whomever you may select, I will agree with you. 218강 Whatever someone says, you must believe in yourself. 219강 I will give whichever seat you want. 220강 Whenever you come, I will wait for you. 221강 Wherever she goes, she will be welcomed. 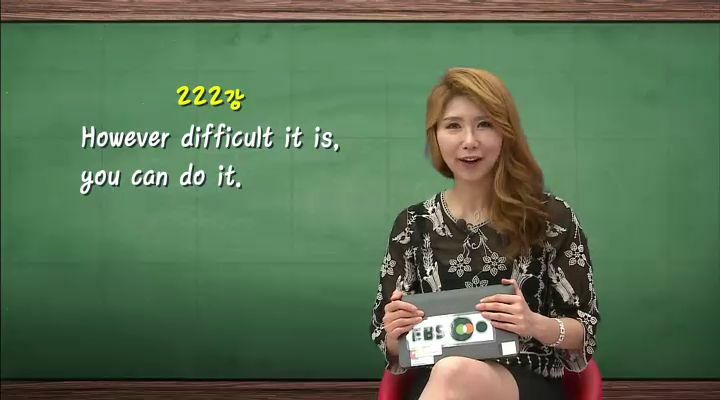 222강 However difficult it is, you can do it. 223강 If I were you, I wouldn't do that. 224강 If you were in my shoes, what would you do? 225강 If I had been you, I wouldn't have done that. 226강 If you had practiced more, you could have passed the test. 227강 If I had money, I would lend you some. 228강 If I had taken your advice then, I would be happier now. 229강 If I had more time, I could travel more often. 230강 If you had handed in your homework in time, you could have gotten a perfect score. 231강 If you had made a reservation last week, we wouldn't be waiting this long now. 232강 I wish I were as tall as you. 233강 I wish I had done my homework last night. 234강 I am sorry I am not as tall as you. 235강 I am sorry I didn't do my homework last night. 236강 He talks as if he knew everything. 237강 She acts as if nothing had happened. 238강 In fact, he doesn't know everything. 239강 In fact, something happened. 240강 Were I you, I wouldn't do that. 241강 Without your help, I couldn't finish my report. 242강 Had it not been for my help, you couldn't have won the race. 243강 The code name that James Bond has is 007. 244강 The sun rises above the horizon. 245강 I have my tooth pulled by the dentist. 246강 Asked many questions, he said no answers. 247강 Cactuses need little water. 248강 I stole her watch and gave it to her again. 249강 I studied for 2 hours last night. 250강 It must have rained last night. 251강 If I had wings, I would fly to you. 252강 Going camping with my friends is really fun. 253강 I found it interesting to work with others. 254강 I don't know if he will finish the project tomorrow. 255강 I'm looking forward to going to Italy and eating wonderful pasta. 256강 She said she knew the man, which was a lie. 257강 December is the month which comes after November. 258강 Man is the only creature that consumes without producing. 259강 Many large cities have very tall buildings called skyscrapers. 260강 They saw all their male members rush to become soldiers. 오늘의 영문법은 진도율 체크 및 학습이력이 남지 않습니다. 진도율 체크 및 학습이력 관리는 강좌 페이지에서 학습해 주시기 바랍니다. 자세한 강의 교안은 강좌 페이지 자료실에서 다운로드 가능합니다. 02강 I reach the airport. 03강 I arrive at the airport. 06강 They weren't English teachers. 07강 Do you become an English teacher? 08강 I have four classes. 09강 Many children like chocolate. 10강 This is my picture. 11강 I want a cup of coffee. 12강 I drink much water. 13강 Look at the moon in the sky. 14강 The train will arrive tonight. 15강 It is warm today. 16강 I myself made this cake. 17강 I like slow music. 19강 He is always late. 20강 There is water on the floor. 21강 I live in this house. 23강 You look beautiful today. 25강 He gave me this rose. 26강 Mom made me a cake. 27강 He asked me my phone number. 28강 I want you to do your best. 29강 Mom made me my homework first. 30강 Mom had me set the table. 31강 Dad helps mom do the housework. 32강 I saw Jenny reading books. 33강 I felt the ground shake. 34강 How diligent you are! 제안문, let’s, why don’t you~?, what about~? 37강 You are hungry, aren't you? 38강 Can I use your smartphone? 39강 Could I ask your phone number? 40강 We must follow the traffic rules. 41강 You may go now. 42강 Jane will help you. 43강 Would you open the window? 45강 You should help poor people. 46강 My mother used to be a teacher. 47강 I do like you. 48강 She may have studied hard. 49강 Mom must have cleaned my room. 50강 I should have prepared the gift. 51강 You had better hurry up. 52강 Eating breakfast is a good habit. 53강 I am afraid of an injection. 54강 I enjoy surfing the internet. 55강 I am afraid of having got an injection. 56강 I hate being treated like a baby. 57강 I don't like my son drinking too much soda. 58강 There is no accounting for tastes. 59강 I feel like making friends with him. 60강 I will go shopping. 61강 It goes without saying. 62강 I am on the point of finishing it. 63강 Get used to swimming in the sea. 64강 My dream is to be a star. 65강 It is not easy for her to be a star. 66강 I can't choose what to do in my life. 67강 I need something to eat. 68강 I need a pen to write with. 69강 They were to fall in love with each other. 70강 She goes to America to learn English. 71강 We are sorry to hear the news. 72강 He cannot be honest to tell a lie. 73강 I would be glad to be with you. 74강 English is not difficult to learn. 75강 It is nice of you to say so. 76강 She seems to have been ill.
77강 To make many friends is my dream. 78강 I want to make many friends. 79강 I avoid going abroad. 80강 I love to go abroad. 81강 Don't forget to finish your homework. 82강 She tries wearing the contact lens. 83강 The box is too small to hold all these things. 84강 The boy is old enough to go to school. to 부정사, to infinitive, too ~ to 동사원형, so ~ that 주어 can 동사원형 너무 ~해서 ...할 수 없다, ~ enough to 동사원형 , so ~ that 주어 cannot 동사원형: 충분히 ~해서 ...할 수 있다. 85강 It makes me smile. 86강 I need something to write about. 87강 Don't go if you don't want to. 88강 To be frank with you, I got up late. 89강 If you need a pencil, I will lend you one. 90강 Do you have any plans for your vacation? 91강 Every boy and girl has the right to study. 92강 I have two dogs. 93강 I have three sons. 94강 There are many chocolates. 95강 Some like pizza and others don't like pizza. 96강 Neither of the boys likes the books. 97강 Few students take umbrellas with them. 98강 I have a little money. 100강 He lives in that house by himself. 101강 She is as handsome as him. 102강 She is smarter than her sister. 103강 Her sister is less smart than her. 104강 The younger you are, the easier it is to learn English. 105강 The more money people have, the more people want. 106강 I am not taller than her. 107강 No one in my class is as handsome as her. 108강 She is more cute than beautiful. 109강 He is as great a scientist as ever lived. 110강 The bag is twice as expensive as that one. 111강 I hope that this becomes one of the most popular programs in Korea. 112강 Jay is as poor as a church mouse. 113강 Look at the sleeping baby. 114강 Look at the baby sleeping in the room. 115강 I am looking at the fallen leaves. 116강 I am looking at the leaves fallen on the ground. 117강 Are you satisfied with your appearance? 118강 I was touched by the movie. 119강 Watching soccer is exciting. 120강 I heard someone calling my name. 121강 Mom had me do my homework first. 122강 Seeing her, I fell in love. 123강 Feeling tired, I went to bed early. 124강 Studying hard, you will master English. 125강 Though studying hard, he couldn't pass the exam. 126강 She is listening to music, drinking coffee. 127강 Not knowing what do to, I called Mom. 128강 Having had breakfast, I am not hungry now. 129강 Written in English, this book is not difficult. 130강 He leaving the airport, she cried a lot. 131강 Judging from your appearance, you must be a teacher. 132강 Mom was waiting for me with her arms folded. 133강 The store opens at ten and closes at noon. 134강 She was happy during her life time. 135강 You must stay here till tomorrow. 136강 There are many planes over the lake. 137강 I have waited for you since 9 o'clock. 138강 I will pay back the money within a week. 139강 He is out of a job. 140강 Paper is made from wood. 141강 He stole money from Kevin. 142강 Please provide me with your e-mail address. 143강 Don't go across the road alone. 144강 I agree with you. 145강 It has rained since Monday. 146강 See you next Friday. 147강 I want to enter into business. 148강 The earth moves around the sun. 149강 The Korean War broke out in 1950. 150강 I will be a world-famous writer. 151강 I am getting my hair cut. 152강 I am not looking at you. 153강 I have eaten Mexican food before. 154강 Have you ever ridden a horse? 155강 I have studied English since 2006. 156강 I have just finished my homework. 157강 I have lost my wallet. 158강 I haven't eaten anything since last night. 159강 They have been talking on the phone for two hours. 160강 When I arrived at the bus stop, the bus had already left. 161강 I had never been abroad until then. 162강 I had studied italian for a month before I went to italy. 163강 I had just finished the homework when my parents came back. 164강 I had broken my finger, so I couldn't practice basketball. 165강 We had been waiting for Dad for three hours before he came. 166강 When it is fine tomorrow, I will go on a picnic. 167강 If you touch my things again, you will be in big trouble. 168강 My science teacher said the earth is round. 169강 I learned that the Korean War broke out in 1950. 170강 I thought you had finished your homework. 171강 You seem to have been very busy. 172강 I am sure of your having been honest. 173강 I like an apple and a banana. 174강 To be or not to be : that is the question. 175강 I am tired, yet i can't sleep. 176강 He can neither sleep nor eat. 177강 Neither mom nor I am at home. 178강 The rumor is that he is a liar. 179강 I asked him whether he is a liar or not. 181강 As Napoleon once said, attack is the best method of defence. 182강 Until he comes back, his mom will wait for him. 183강 Though you don't like it, you must do it. 184강 The window was broken by me. 185강 My room is cleaned every day by Mom. 186강 These letters were written by her. 187강 I was laughed at by them. 188강 I was given a card by her. 189강 She is called princess by us. 190강 You were seen to wait for the bus. 191강 I was made to clean my room by Mom. 192강 It is said that he is honest. 193강 He isn't loved by her. 194강 Is English spoken in Singapore? 195강 Your personal information is being used by someone. 진행형 수동태, be being p.p. 196강 This cell phone has been used since last year. 완료형 수동태, have been p.p. 197강 My mom is worried about my grades. 198강 Do you know the girl who wears a white dress? 199강 Do you see the girl whose eyes are green? 200강 There is a house of which the roof is blue. 201강 There is a serious problen I meet. 202강 There are a man and his dog that I like. 203강 I have read the novel the girl wrote. 204강 Do you know what I am saying? 205강 I am not what I was. 206강 He said he was very sick, which was not true. 207강 This is the same pen as I lost. 208강 This is the studio in which I work. 209강 This is the place where I was born. 210강 I remember the day when I met you. 211강 Tell me the reason why you are late. 212강 Tell me how you can make it. 213강 She lived in New York, where she got married. 214강 Tell me the reason that you are late. 215강 This is the city which I like best. 216강 Whoever comes here will be welcomed. 217강 Whomever you may select, I will agree with you. 218강 Whatever someone says, you must believe in yourself. 219강 I will give whichever seat you want. 220강 Whenever you come, I will wait for you. 221강 Wherever she goes, she will be welcomed. 222강 However difficult it is, you can do it. 223강 If I were you, I wouldn't do that. 224강 If you were in my shoes, what would you do? 225강 If I had been you, I wouldn't have done that. 226강 If you had practiced more, you could have passed the test. 227강 If I had money, I would lend you some. 228강 If I had taken your advice then, I would be happier now. 229강 If I had more time, I could travel more often. 230강 If you had handed in your homework in time, you could have gotten a perfect score. 231강 If you had made a reservation last week, we wouldn't be waiting this long now. 232강 I wish I were as tall as you. 233강 I wish I had done my homework last night. 234강 I am sorry I am not as tall as you. 235강 I am sorry I didn't do my homework last night. 236강 He talks as if he knew everything. 237강 She acts as if nothing had happened. 238강 In fact, he doesn't know everything. 239강 In fact, something happened. 240강 Were I you, I wouldn't do that. 241강 Without your help, I couldn't finish my report. 242강 Had it not been for my help, you couldn't have won the race. 243강 The code name that James Bond has is 007. 244강 The sun rises above the horizon. 245강 I have my tooth pulled by the dentist. 246강 Asked many questions, he said no answers. 247강 Cactuses need little water. 248강 I stole her watch and gave it to her again. 249강 I studied for 2 hours last night. 250강 It must have rained last night. 251강 If I had wings, I would fly to you. 가정법 과거, if 주어 동사의 과거형/were , 주어 would 동사원형, 가정법 대과거, 과거사실에 대한 반대의 가정, If 주어 had p.p. , 주어 would have p.p. 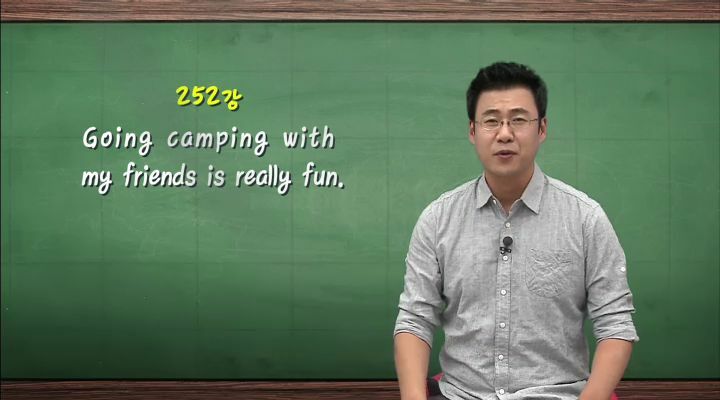 252강 Going camping with my friends is really fun. 253강 I found it interesting to work with others. 254강 I don't know if he will finish the project tomorrow. 255강 I'm looking forward to going to Italy and eating wonderful pasta. 256강 She said she knew the man, which was a lie. 257강 December is the month which comes after November. 258강 Man is the only creature that consumes without producing. 259강 Many large cities have very tall buildings called skyscrapers. 260강 They saw all their male members rush to become soldiers.